Embroidery, the art of adding a signature style to our products is available for many products. 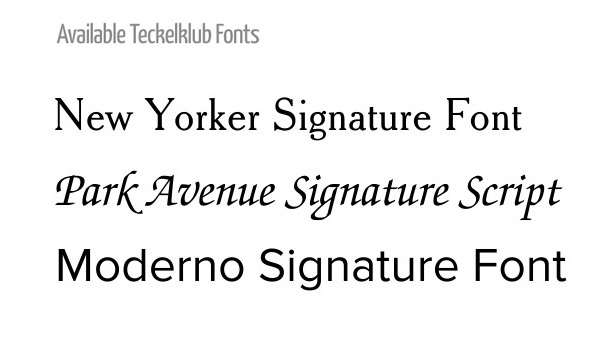 Please choose from three unique typographical fonts including Moderno, New Yorker, and Park Avenue upper and lower case letters. Create a signature look that is unique to you and your dog – personalize your Teckelklub products by placing your dog’s name, nickname or monogram initials on our jackets, blankets, or beds with our embroidery service today. Teckelklub Custom Coats call us for more information. Harness openings added on request based on your dog's measurements.